If you are going to be in Western Europe this summer on one of InterExchange Working Abroad's Teach English or Au Pair programs, you have a great opportunity to visit London and experience the international environment of the 2012 Summer Olympics! London is an amazing city and is one of the most diverse and international metropolises in the world. Add to that the spectacle and grandeur of the Olympic games, and visiting the city in late July will be an amazing experience! The 2012 Summer Olympic Games run from July 27th to August 12th, 2012. 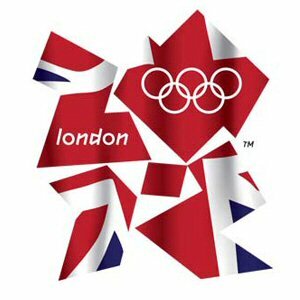 You can visit the official website of the 2012 Olympic Games in London to get more schedule information. Want to Buy a Ticket to the Olympic Park? Tickets are already selling out extremely fast, but you may be lucky and be able to grab a last-minute ticket to a lesser-known sport or a general admission ticket to the actual Olympic Park. The ticketing system for the Olympics is a somewhat daunting process though, so be prepared! As a citizen in the U.S., you can't buy tickets from the official 2012 London site, you have to buy them from the United States Olympic Committee member, CoSport. Visit their website here to get all ticketing information. There are also the Paralympics being held at the same time that would be amazing to see. Find out more information here. There are 37 venues across London and the UK. If you can't get into one, or want to get away from the crowds in London, take a side trip to any number of others outside of the city. The Orbit and Art in the Park are some of the major attractions in Olympic Park. There are many events going on this summer across London and the UK. Even if you can't get into the Games, the atmosphere of the city will be completely transformed into an international celebration. CoSport, the U.S. arm of the Olympic Committee, created a nice guide to the Games you can see here. London is going to be pretty crazy this summer. Think of your city in July and August, plus an influx of over 1 million people! But, it will be an incredible sight to see. Some of the InterExchange staffers have been to the Olympics and World Cups in the past, and even though none were actual able to get into the games, the experience of being a part of the international community during those times was priceless. If you are going to be in Europe this summer, there are several easy ways to get to London. Eurostar This very fast and very cheap train leaves from Brussels and Paris with direct trips into London's St Pancras International station. Tickets start at around $57 one way for a 2 hour trip. EasyJet Airline This discount European airline is a great cheap resource for travel around the EU. One-way tickets from Paris to London start at £57. RyanAir The amazing RyanAir that every traveler has used at least once while in Europe is still one of the cheapest and easiest ways to travel around Europe. Prices from Rome to London start at around €43. More airlines Rick Steves, the authority on all thongs Europe, has compiled a nice list of train and airline resources for cheap travel around Europe. Check it out! Staying in or around London during the Games will definitely be a challenge if you haven't already booked a hostel or hotel. It may be a good option to stay in a suburb of London, as it will be cheaper and less crowded. Hostel.com has a long list of London hostels you can check for availability. You can also search for other cities in the UK to stay in that are close to London, but away from the crowds. The London Tube system is clean and vast, taking you somewhere close to wherever you want to be. InterExchange Working Abroad staff have all had great experiences using public transport in London. 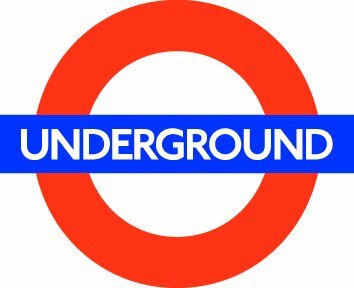 You can get a map of the Tube system and buy tickets on their comprehensive site.